The speaker is powered by 8 AA batteries which last about four hours, so I recommend some decent rechargeables as it could get quite expensive to run if you opt for a different route. 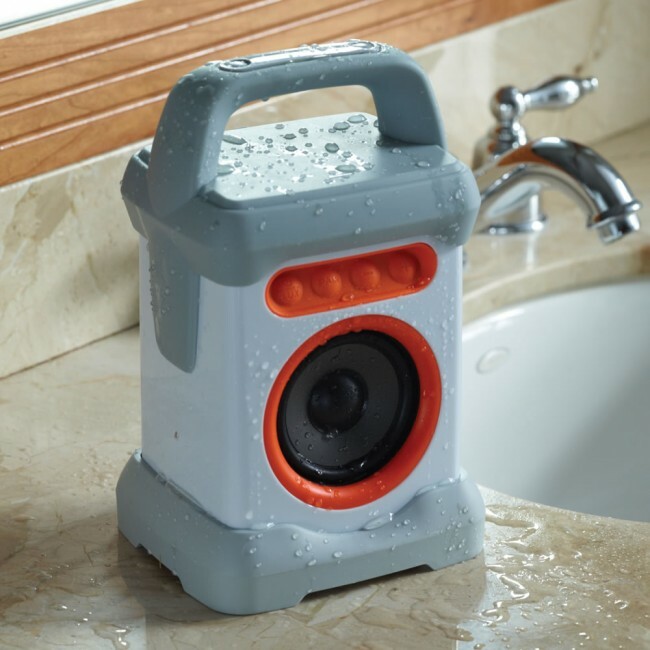 The waterproof speaker can give out 10 watts of power which is likely to be ample for most people. Size wise, it measures 9 x 5.75 x 5 inches and weighs 2.75 lbs. It is available soon from Hammacher and costs $99.95. The ship date is currently March 28th.